Phillips Lancaster County Cheese Company - Mom's RecipesMy Mom was the best cook in the world! She grew up during the depression and learned to cook from her mother and grandmother right here in Lancaster County. I'm not talking about gourmet, fancy foods -- just good Pennsylvania Dutch home cooking. Growing up, I saw her do most of the cooking on the old coal-fired range in our kitchen. As a child of the depression, she knew how to use every scrap of food to make something delicious that we would enjoy. Although she's no longer with us, I'll always remember the great food she prepared with loving hands. 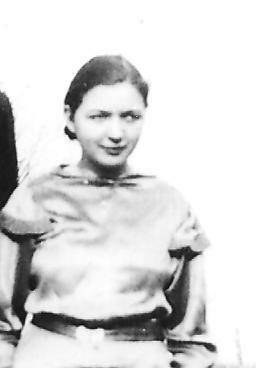 I hope you enjoy these recipes as much as I have over the years.Doug Weinhold's Mom, Armeda, on her wedding day in 1936. My Mom was the best cook in the world! She grew up during the depression and learned to cook from her mother and grandmother right here in Lancaster County. I'm not talking about gourmet, fancy foods -- just good Pennsylvania Dutch home cooking. Growing up, I saw her do most of the cooking on the old coal-fired range in our kitchen. As a child of the depression, she knew how to use every scrap of food to make something delicious that we would enjoy. Although she's no longer with us, I'll always remember the great food she prepared with loving hands. I hope you enjoy these recipes as much as I have over the years. on her wedding day in 1936. In a greased baking dish, layer the following, thinly sliced: onions, tomatoes, zucchini, green peppers, then grated cheese and buttered soft bread crumbs. Repeat and finish with the bread crumbs. Pour over all 1 cup spaghetti sauce. Bake at 350 degrees for 1 hour, or until vegetables are soft. Copyright 2017 Phillips Lancaster County Cheese Company. All rights reserved.